1. Father of Hananiah, a false prophet, contemporary with Jeremiah (Jer. xxviii. 1). 2. A leader who sealed the covenant with Nehemiah (Neh. x. 17). 3. 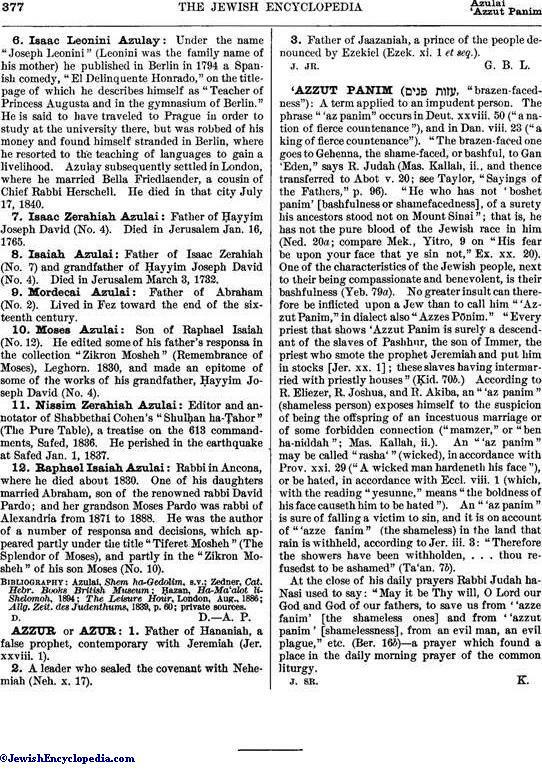 Father of Jaazaniah, a prince of the people denounced by Ezekiel (Ezek. xi. 1 et seq. ).